More divine magic from the house of Vero Profumo; this time as the olfactory incarnation known to many as Rubj... a parfum whose spirited heart is every bit as crimson as her name might suggest. Unlike her responsible older sister Onda, Rubj could be considered the black sheep of her fragrant family; the non-conforming coquette whose principles are - by some measure or another - really rather corrupt. In extrait form, she is unscrupulously flirtatious... a dancing nymph whose alabaster hips sway with calculation under sheer scarlet silk. Mouth-watering citruses, Moroccan orange blossom and opulent jasmine cavort with a very carnal tuberose and titillating musks to create an extrait that is dewy, voluptuous and provocative. To the nose, it feels plump and succulent... an olfactory venus flytrap. Rubj's creator Vero Kern has enhanced the top notes of her eau de parfum variation without dishonouring the original. Here though, Rubj takes on another persona... one whose principles are still in tact (even if only on the surface). In this instance, she will first hold you at arms length; her cheeks flushed with coyness. The eau de parfum opens with a note much like cumin which will challenge you and act as a moral obstruction before you may be allowed to savour her fruits. Only when she is ready, she will lean in with her vermillion painted lips; as spirited and as impish as always. Rubj will romance you all night, but when you awaken, she will be gone in the morning. Vero Kern not only manages to beguile and bewitch with Rubj, but does so by breathing an air of nostalgia and sentiment into her lungs. Much like my beloved Onda, this perfume also resonates with the classic perfumes of the early 20th century. 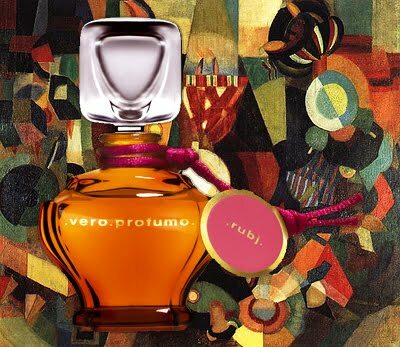 Rubj can be purchased in extrait form by visiting veroprofumo.com, and as an eau de parfum at campomarzio70.it. For any perfumer, an 'olfactory fingerprint' is a difficult thing to acquire. 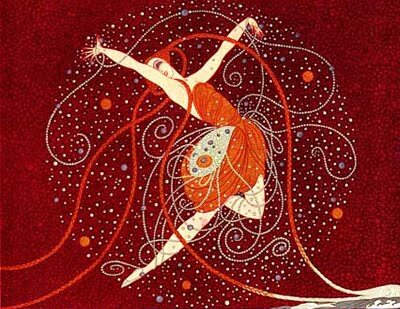 One might work for an entire lifetime, and never achieve the elusive red thread that extends across his or her body of work that promptly identifies it as their own. Edmond Roudnitska achieved it with his famed 20th century compositions for Rochas and Dior, as did Jacques Guerlain with his esteemed 'Guerlinade' accord, however it is something that few noses in this day and age manage to attain. Mona di Orio is a perfumer whose work can be recognised immediately. She approaches her work with an intuitiveness akin to the great masters. Her collection of Parfums stand both individually and collectively as a testament to her efforts and exceptional attention to detail. Now, a new trio of eaux de toilettes are set to be released under the name Les Nombres d'Or (The Golden Numbers), which is a reference to the golden mathematical ratio by which artists and and architects have proportioned their work for centuries. As the architect of her own perfume, Mona has endeavoured to apply the same precision and concept to her three compositions: Cuir, Ambre and Musc. Cuir is a deliciously warm and enduring leather fragrance which opens with a hint of forest green with rich, balsamic undertones. It shifts into a smokey, slightly woody facet (much like smoked woodchips) that pulls forward a sultry leather accord; one that is lavish and dark. There are fleeting moments of campfire smoke and I detect something akin to a murmur of tobacco leaf in there too. Cuir is compelling and highly appealing. Official notes are: Cardamom, Absinthe, Leather, Cade, Opoponax and Castoreum. Ambre is rather saccharine as it opens, but shifts into something rather multi-dimensional. It is resinous, but with burnt, honeyed qualities. As the perfume evolves, one can detect a dense floral core, which becomes slightly more powdery and vanillic with time. A soft ribbon of cedar lies within, furnishing the perfume with a melancholic aspect that is hard to describe. I liken it to the sweet powdery smell of an old mahogany grand piano, with a thin film of dust that has settled on the keys. Official notes are: Cedarwood, Ylang Ylang, Tolu resin, Benzoin, and Vanilla Absolute. Musc is a spirited composition that opens with a semi-diaphanous citrusy green, and a flutter of blonde florals. Whilst there is no musk present per sey, there is a sense of crisp, rounded muskiness... the anatomy of this perfume seems to be thorough, deep and considered. A creamy, mossy base lends a sense of pale woods also. Musc is a beautiful and elegant interpretation which is gentle, summery and restrained. Official notes are: Neroli, Angelica, Heliotrope, Rose, Tonka Bean and Moss. This collection of eau de toilettes represents an interesting new tributary in Mona di Orio's range. Each will retail for approximately 110 euros for 100ml at select retailers in Europe and the US. Winner of Puredistance I sample! Many thanks to all who entered the Sorcery of Scent's Puredistance I sample giveaway. Thanks also to readers who have hung in there patiently whilst I have been moving continents! 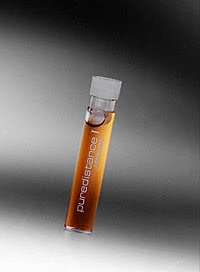 The lucky winner of the boxed Puredistance I sample selected at random is HJ! Congratulations! I will be in touch with you soon to obtain your postal details. Thanks again to all, and stay tuned for more reviews and giveaways soon!